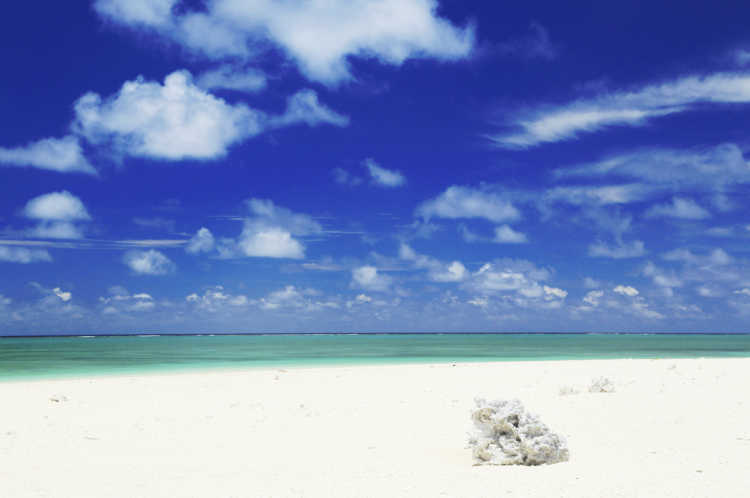 Accessible from Kumejima Island by boat, an island with only white sandy beach is called Hatenohama. Correctly, there're three such islands, and you can see the emerald ocean and white sandy beach in all af your sight from the farthest one. 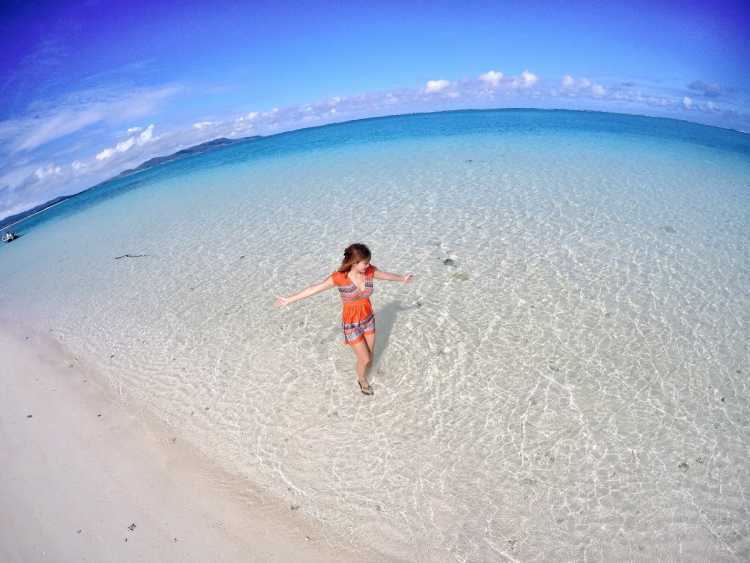 Enjoy the sea of Okinawa to your heart content! By the way, they're so moving from the airplane.◎You need to take part in the tour to Hatenohama. If you want to look it from airplane, ride a plane to Miyako-jima Island, and take right side seats. But as the route and the weather, you may not be able to look it. Though I have traveled in Okinawa several times, I was most impressed by Hate-no Hama Beach in Kume-jima Island among all of the isolated islands I've visited! I could have the beach almost all to myself because only package tours can visit! I have never been happier!